IDP.ALEXA.51 is a term used to identify malicious files on the system. Check your device thoroughly to eliminate all threats related to this term or make sure that the detection is false. Scan now! idp.alexa.51 is the threat that has mostly been seen reported by AVG software. IDP.ALEXA.51 is the AV detection reporting about malware hiding in the system. However, this detection can also be a false positive that has nothing to do with risks on your device. To be sure about that, you need to scan the system thoroughly with an alternative anti-virus tool which is not sharing the same virus database. Since IDP.ALEXA.51 virus has mostly been reported by AVG, Avast or Avira AV engines,, install another anti-virus to double-check. This intruder is known since 2016 when people started submitting threads asking if this piece of malware is dangerous. Recent reports have shown that IDP.ALEXA.51 alerts could be related to SeaMonkey and Plants vs. Zombies online games, KMSPico, FiveM and MyDailyLife pages. Alexa virus. In case it's not a false positive, the IDP.ALEXA.51 detection refers to a severe cyber infection that has to be removed. We recommend downloading Reimage and running a full system scan with it. This detection is primarily associated with online games or apps, such as SeaMonkey, Plants vs. Zombies, EasySpeedUpManager2, and others. The AVG scan results usually report this “file” or detection to stem from the .tmp and .exe files (e.g. swUSB.exe) located in c:\windows\, %appdata% and %temp% folders. According to the analysis being held a year ago, the IDP.ALEXA.51 malicious detection prevails on the systems running 8.1 located in Portugal and Brazil. However, the extent of this erroneous detection did not decrease and is currently often found on Windows 10 systems running Avira and AVG. In some of the cases, AVG firewall may block the installation of HitMan Pro reporting the HitmanPro.exe as an IDP.ALEXA.51 malware. Collect and send information about your PC to a remote server or hacker. IDP.ALEXA.51 virus is malware detection related to Avast, AVG and similar anti-virus software. Some cybersecurity researchers categorize the IDP.ALEXA.51 file as a Trojan horse or Alexa virus. Although there's no clear evidence for such classification, cybersecurity experts warn that the suspicious detection called IDP.ALEXA.51 might not be a false alarm. Reputable AV engines like AVG might recognize it as a false-positive detection or threat due to the outdated version running on the system (AVG 8.5, 9.0, 2011, 2012, 2013, 2014 or 2015) or outdated virus database. In 2017, the company acknowledged that this same problem had been triggered by faulty AVG software update. However, that's not the only reason why AV engine, not necessarily AVG, can report IDP.ALEXA.51 as threat detected in various system's locations. Malware developers can exploit such files or names of the false AV detection to disguise malicious programs or processes. IDP.ALEXA.51 even has a few similarities with known trojans and other suspicious detection names like FileRepMalware and TrojanWin32/Tiggre!rfn. You should be aware of many possibilities that this is a virus and scan your device using Reimage, Malwarebytes MalwarebytesCombo Cleaner, or Plumbytes Anti-MalwareMalwarebytes Malwarebytes and see what possible intruders your computer already has installed. 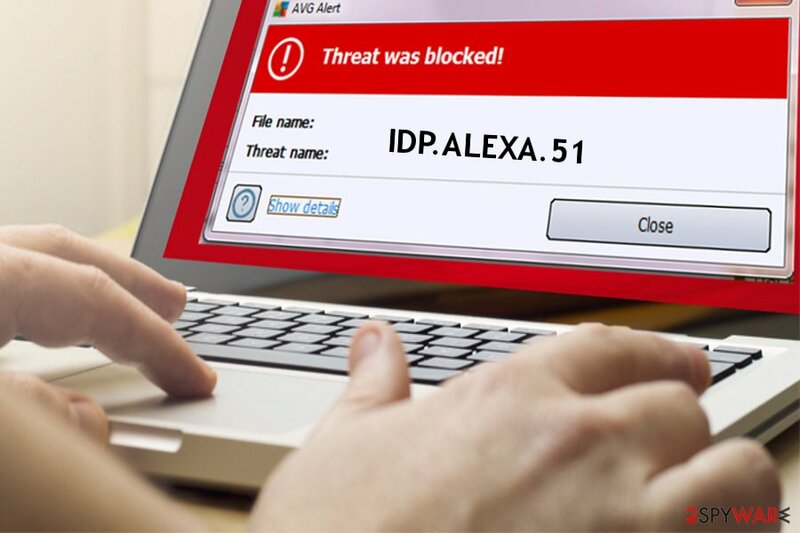 Idp.alexa.51 is the detection name presented by anti-malware tools that can mean one of the two things - either a need to update anti-virus or a need to remove malware from the system. This is not one of the system's files. It is associated with the various application that can be downloaded from the Internet for free. It's not possible to reject the installation of this file-component since it's a part of the software package responsible for its performance. Although its original version is not considered as malicious, it can be misused by hackers for disguising ad-supported apps, rogue software or even malicious cyber infections. Therefore, each time you install games like Zombie vs. Plants or other free apps, make sure to select the Advanced or Custom installation option and read the terms carefully. In case IDP.ALEXA.51 detection is false, all you have to do is to address your antivirus tool to disable irritating threat detection pop-ups. You can uninstall the anti-virus entirely using its uninstaller on Control Panel and then download the latest version from the official website. Alternatively, you can check what is the version of your anti-malware tool and download the update for it from the manufacturer's website. However, we would strongly recommend checking the system with an alternative anti-virus program to make sure that the system is not infected with a hazardous PC infection, such as Trojan, Spyware, Keylogger, and similar. 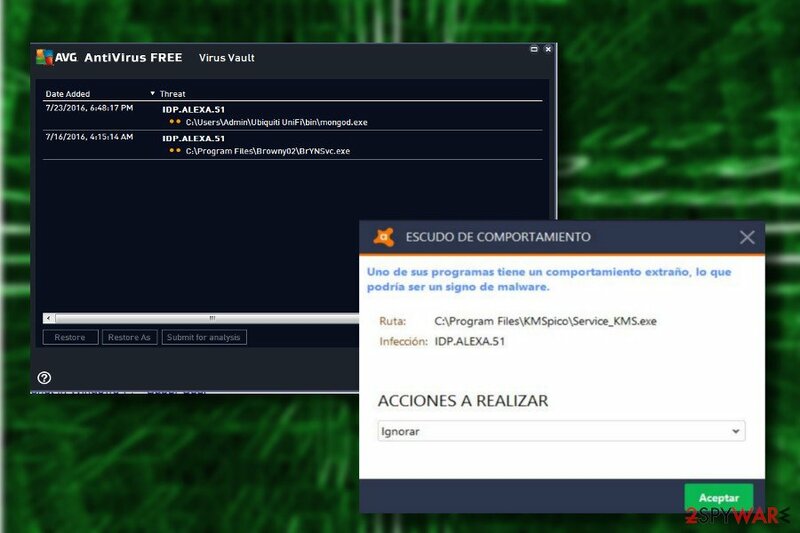 Our top pick tools for an additional scan are Reimage, Malwarebytes MalwarebytesCombo Cleaner, or Plumbytes Anti-MalwareMalwarebytes Malwarebytes. 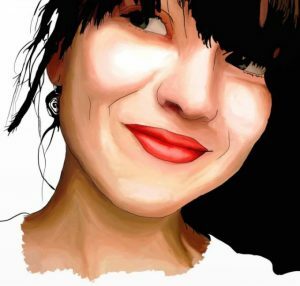 ^ Julie Splinters. The Best Free Malware Removal Tools of 2018. 2-Spyware. The largest sources of security and tech-related information. ^ Roger A. Grimes. 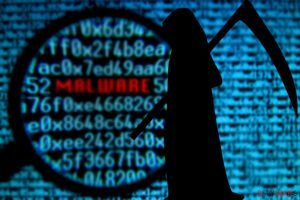 8 types of malware and how to recognize them. CSOonline. Security news, features and analysis. ^ Chris Hoffman. How Hackers Can Disguise Malicious Programs With Fake File Extensions. How-To Geek. Online tech publisher. This entry was posted on 2019-04-01 at 00:03 and is filed under Malware, Viruses. You can quickly scan the QR code with your mobile device and have idp.alexa.51 manual removal instructions right in your pocket. How did you remove idp.alexa.51?